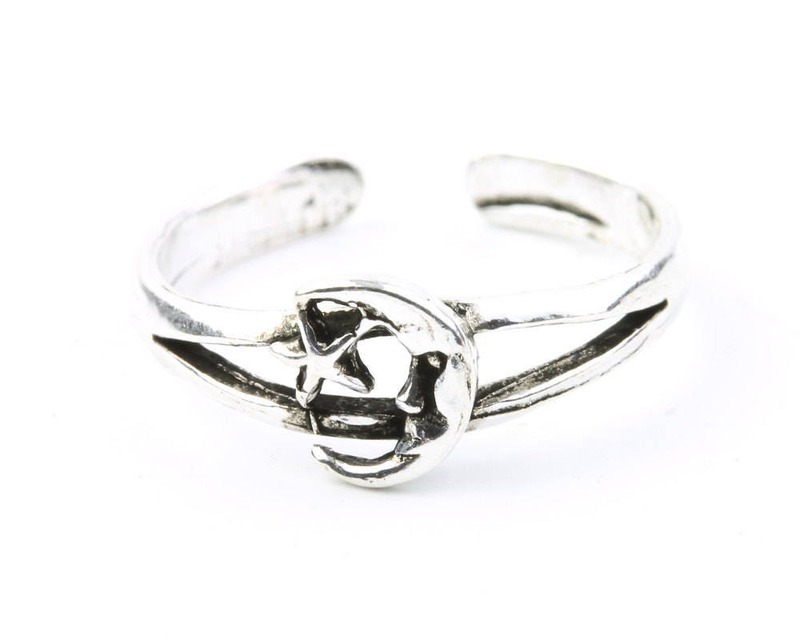 Sterling silver Moon and Star toe ring. Crescent moon with star design. Dark patina finish accentuates the detail of the piece.